Once you have come to terms that real fat is good for you (see Part 1), choosing which type to incorporate into daily life can seem even more confusing. In FAT Phobia, Part 2, I will discuss the differences of various fats, along with which ones we should emphasize and which ones to ignore. There are three types of fats; saturated, monounsaturated, and polyunsaturated. 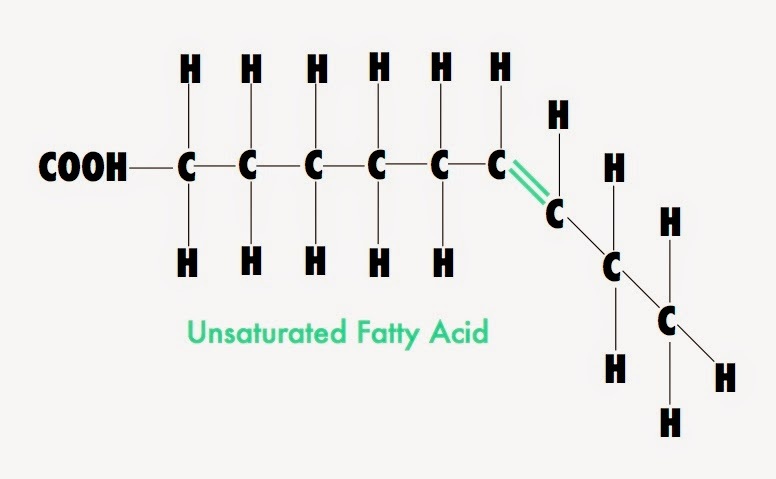 The difference between these fats has to do with their fatty acids – chains of carbon and hydrogen atoms attached to a carboxyl group. Saturated fats are considered stable against damage, and therefore the healthiest for consumption, because all of their carbon bonds are occupied with a hydrogen. However, when a fatty acid chain has 1 double bond of carbons (carbon to carbon, not carbon to hydrogen), it is a bit less stable, and is called Monounsaturated. 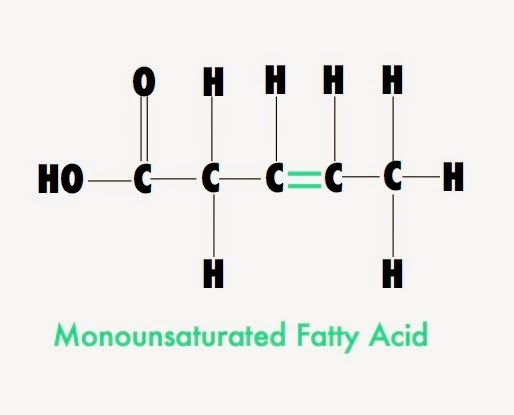 Knowing that “mono” means one, makes it relatively easy to guess that Polyunsaturated refers to fatty acid chains that have two or more double carbon bonds. 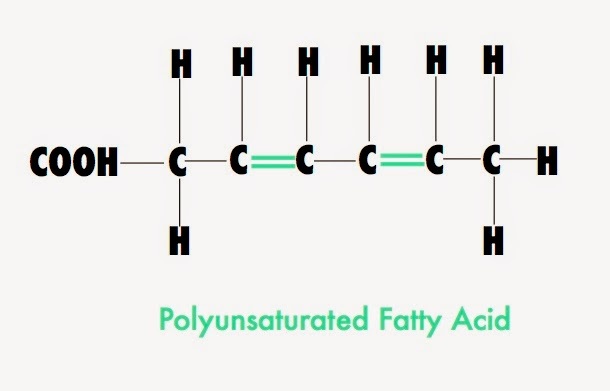 This higher number of double bonds in polyunsaturated fats makes them extremely fragile and highly prone to damage, thus they should never be heated. 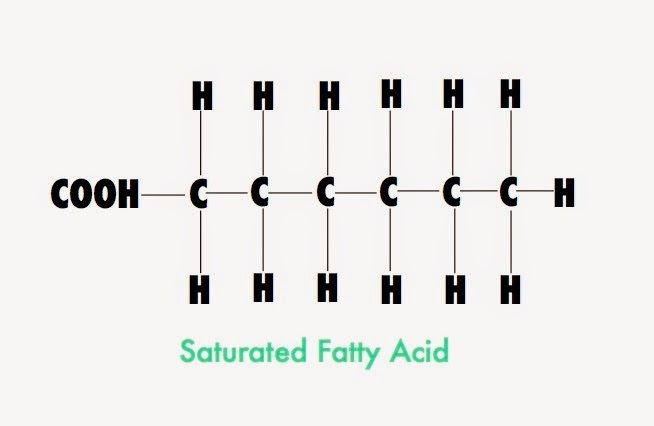 If all carbon and hydrogens are bonded (which is the case for saturated fats), the hydrocarbon chains are straight and compact, thus allowing the “fat” to be solid at room temperature. However, when carbon double bonds occur (otherwise known as being mono or poly-unsaturated), there are kinks or “bends” in the overall structure making it “loose,” or otherwise known as an “oil” product at room temperature. This is where the irony of butter substitutes such as margarine comes in, as they are originally vegetable oils that are then later chemically altered. The photos below compare both an unsaturated and saturated bond. From polyunsaturated fats, there are two fatty acid categories that are essential for our body, meaning we can not get them anywhere else but from food. Omega-3’s, usually viewed as the “good guy” with anti-inflammatory benefits, get there name from having a double bond on the 3rd carbon in its fatty acid chain (hence the number “3”). Omega 6’s have a double bond on the chain’s 6th carbon atom, and are usually seen as the “bad” guy due to having lower anti-inflammatory benefits than omega-3’s, coupled with their potential pro-inflammatory precursors. However, omega-6’s are only harmful when they are consumed in excess. This is one of the reasons why the Standard American Diet is so harmful, as the omega 6: omega 3 ratio is much higher than the suggested 2-4:1 at a whopping 20-40:1. Because the fatty acids from omega 6 and 3’s are both constantly working on the same enzyme pathways to occupy our cells, having a significantly higher omega 6 count raises inflammatory markers in the body, which then results in a plethora of serious health issues. However, when there are enough omega-3’s present in the body, inflammation is kept at a balance, resulting in overall wellness and protection against illness. Foods that contribute to omega-6 dominance in the body include all forms of processed oils, carbs, sugars, conventionally raised animals and dairy products (due to they themselves being omega-6 overloaded through a grain-based diet), and pretty much any other pre-packaged food. Reversing too much omega-6 in the diet can not simply be fixed by increasing omega-3 intake, but rather by eliminating processed junk and replacing it with whole food sources. 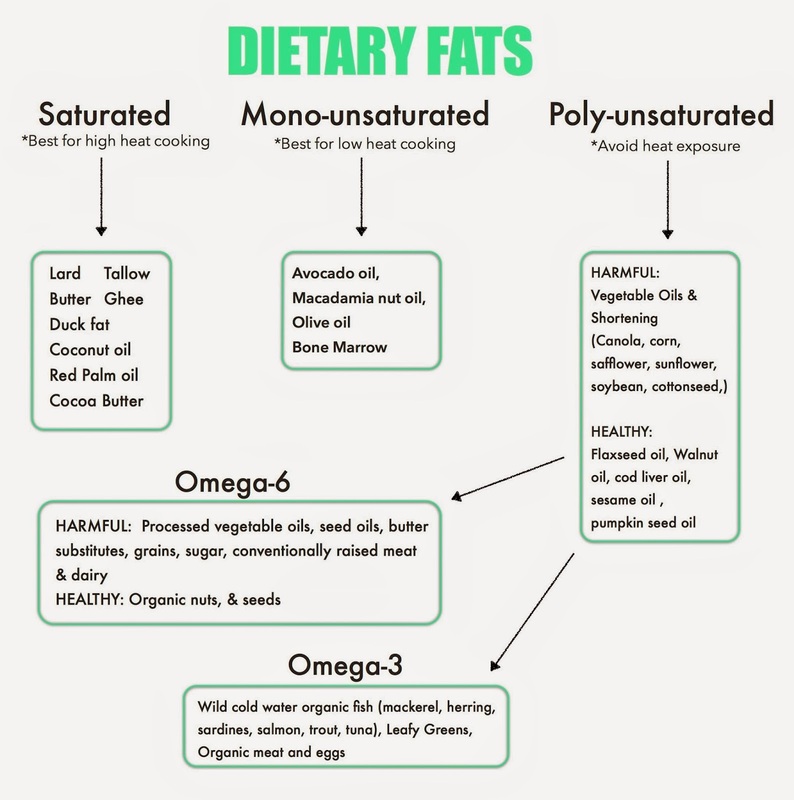 There are 3 types of fats: Saturated, Monounsaturated, Polyunsaturated. Saturated fats are the most stable making them suitable for high heat cooking. Monounsaturated oils are less stable and thus should be reserved for moderate to low temperatures. Omega 3 and 6’s are fatty acids derived from polyunsaturated fats. 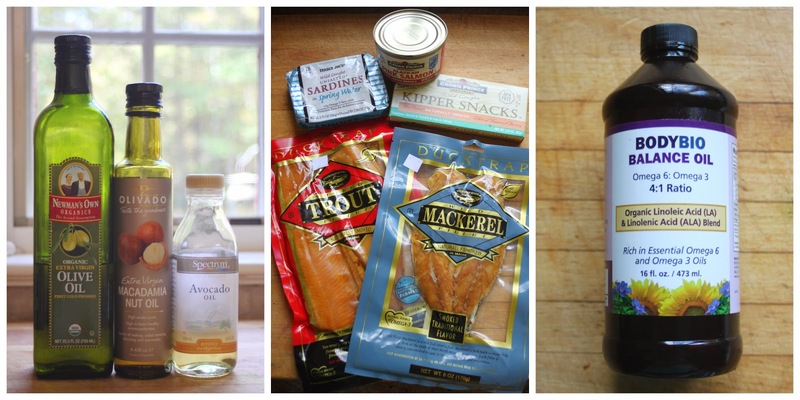 Adequate amounts of omega 3’s can be easily met by eating oily, cold water fish. Chemically made trans/partially hydrogenated oils are extremely detrimental to the body and should be avoided at all costs. View parts 1 and 3 by clicking here & here.